I love Food ‘n Flix (almost as much as I love Cook the Books Club.) I love watching a film (or reading a novel) and getting inspired to make something fabulous in the kitchen. I hate to say it, but the current film, Because I Said So, did not make my favorite list. Mandy Moore is so cute. Gabriel Macht is a hotty! I covet Diane Keaton’s wardrobe. It wasn’t so much the film itself. The film has a cute premise. It was just one character. So enough on how I didn’t like Keaton’s character—on to the food portion of this film review. Popsicles play a cute romantic part in this film and since I am still on Pepper-palooza I decided to do a sweet treat with peppers. Here is my attempt at a sweet and spicy frozen treat. Combine the first 6 ingredients in a blender, and process until pureed. Stir in zest. 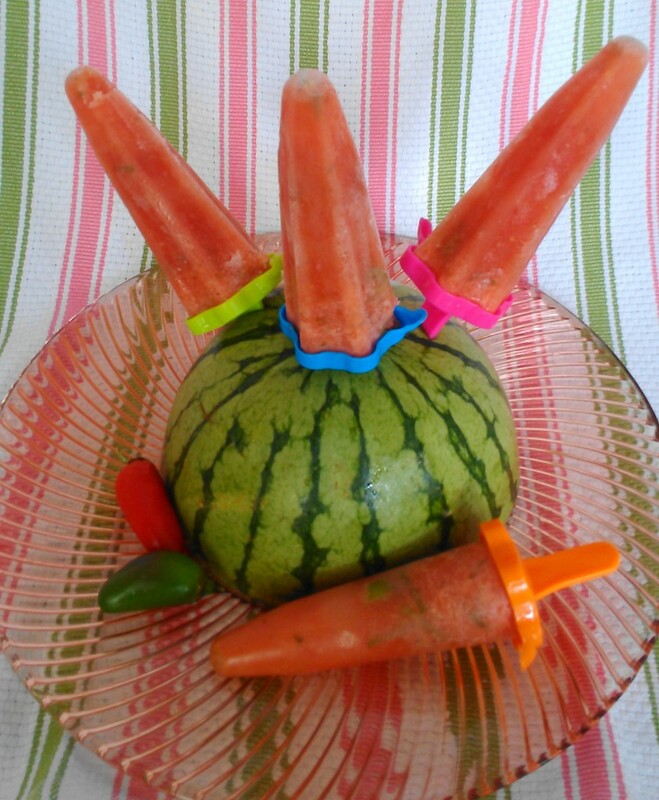 Place a jalapeño slice in the bottom of each of your popsicle molds. 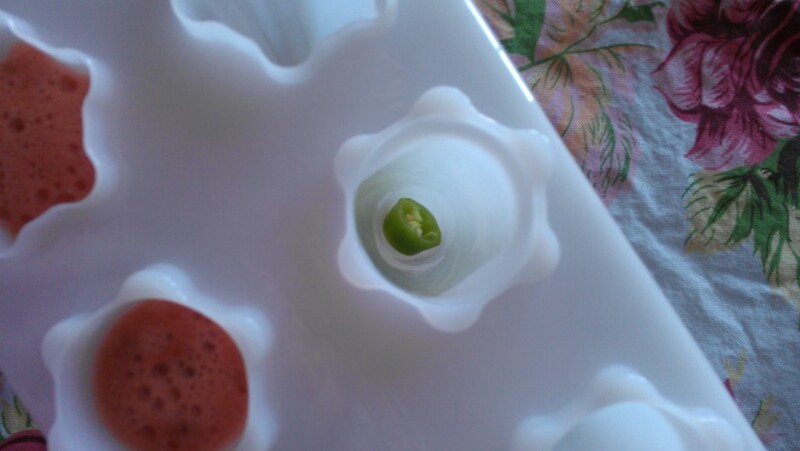 The pepper slice might float so use the popsicle stick to push it down so it will look suspended. Pour into 8 (3-ounce) ice pop molds. Freeze 6 hours or until firm. Thanks to Heather from girlichef for hosting this month. (Heather also inspired me for this post as she posted fantastic looking Trio of Tropical Pops for last month’s film, Mistress of Spices. ) Please check out Food ‘n Flix and next month’s feature film, The Help. I can’t wait to rewatch it! Will someone make chocolate pie? Postscript: Heather was kind enough to invite me to post this up for Summer of Popsicles. Thanks, C.J. Back at ya’! Maybe with more tequila! 🙂 I’m kind of glad I wasn’t the only one that didn’t like this movie. 🙂 Enjoyed reading your interview. Such a fun post! 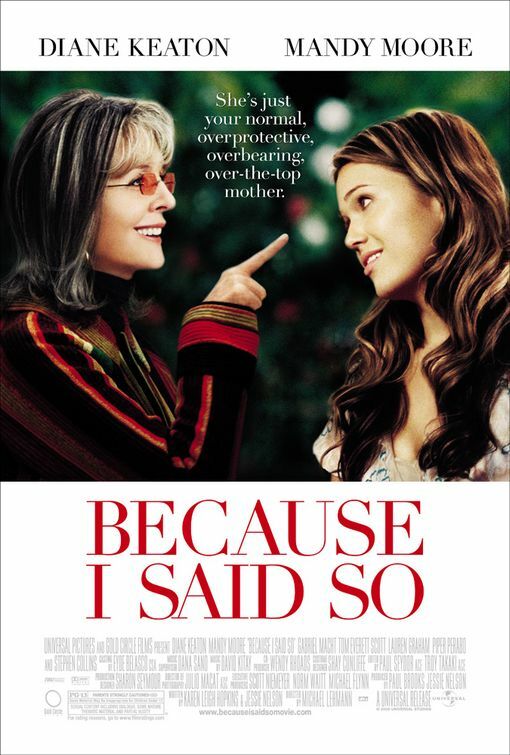 Daphne was pretty annoying…but I can’t help it – I adore this movie! And I really, REALLY adore your popsicles – they sound awesome! 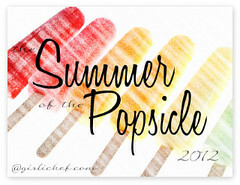 Drop by and share them with my Summer of the Popsicle when you get a chance (pretty please!). http://www.girlichef.com/2012/05/summer-of-popsicle-2012.html Thanks for your kind words, as well!! Hey, Heather. I will do it! Again, thanks for hosting this round of FnF! But your watermelon pops are amazing! These watermelon pops are so fun! A rather fair review on the movie. What a fun idea – Food & Flix! I have to agree with your assessment of this month’s film, but it looks like you did a great job accomplishing the purpose of the game.Your watermelon pops are perfect! Such an adult treat! Maybe I need a few of those, or just the tequila this week. They look fantastic. How creative! I love the way you set this up. Looks good, especially for this heat wave. And, I am glad Daphne is not my mother-in-law – geesh!!! such a creative popsicle! love it! I didn’t get around to doing this month’s film, but am totally on board for next month. These look SO good–and you’re right, Gabriel Macht is a hottie. Whatever happened to him? Isn’t he in a sci fi or super hero film this summer? What a delightful combination of flavors. I love how even though you didn’t care for the movie, it still gave you the inspiration for a great recipe. Really, it was just Daphne! 🙂 Thanks for commenting. Your milkshakes were truly inspired. The movie was not my favorite either, but I enjoyed making a souffle!